This nasty lady wears a satin skirt with a black net petticoat printed with gold stars and trimmed with black lace, black pantaloons, a black satin and velvet bodice trimmed with lace and antique glass buttons, a satin and net hat, a green wart with hair on her nose, and a broomstick that Dorothy would love to get her hands on. How can I purchase as no facebook account? 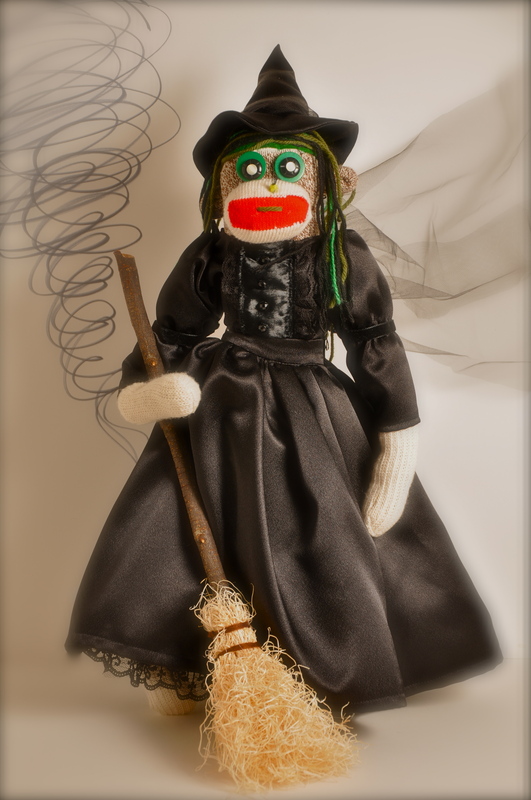 Hi – If you are still interested in my Wicked Witch of the West sock monkey, please email me at scottarend@yahoo.com – thanks!